When you come across an artist whose work stops you in your tracks you have to find out more about them. That is exactly what happened with Pauline Agnew! Her landscape and figure work are completely captivating and once I knew more about her and her work I was crossing my fingers she would create a course just for you! Lucky us…she did! Join me in welcoming Pauline Agnew to our creative community! 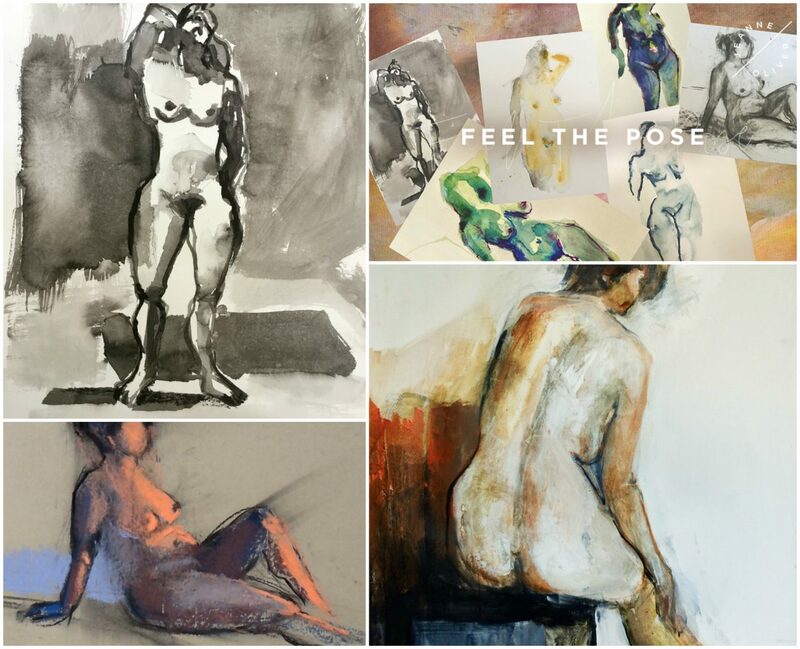 Pauline’s course, Feel The Pose | Creating Expressive and Energetic Figure Drawings BEGINS ON MONDAY and it is stunning! Do you remember the joy you got from drawing yourself, your family, your friends, as a child? You were not worried about the anatomical accuracy of the face or body, you were telling a story. The human body is a joy to draw and paint when you approach it with a sense of childlike curiosity and wonder and avoid getting too caught up in realism. Join in on Monday for Feel The Pose! with Pauline Agnew! Four+ hours of course content, lifetime* access and a registration price of $48. The course will go live on August 27th, 2018. Join me as I teach you how to engage your senses during the creative process, just as you did as a child. Together we will create a series of expressive mixed media figure drawings. Using simple materials – charcoal, ink, watercolors etc; and several exciting and very specific exercises, you will be empowered to draw the figure with confidence. and above all, with feeling. I will also show you how Master artists use these exact same techniques that I will share with you, to create figure drawings that are deeply engaging and full of life. You can expect to come away from this course with several rewarding ways to distill and capture the essence of the human body on paper, and a portfolio of figure drawings that might just surprise you! *This course is suitable for all levels from the total beginner, to college graduates looking for a fresh approach.